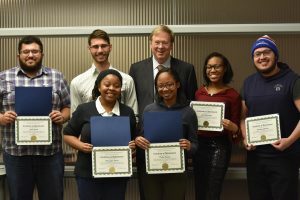 The college’s Emerging Scholars Program, which provides advising and academic support to CWRU students who graduated from Cleveland-area high schools, held an Academic Excellence Celebration on February 1. 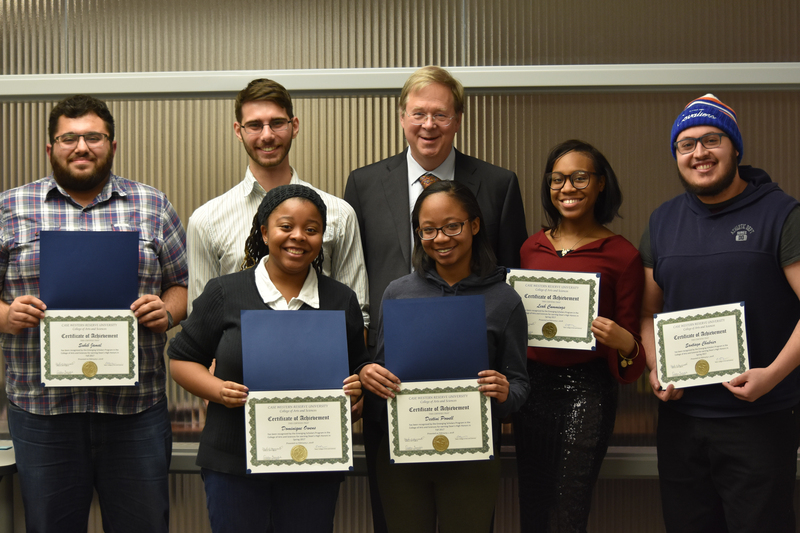 Dean Cyrus Taylor presented awards to the program’s top achievers, including those who earned Dean’s High Honors during the spring or fall of 2017. First row, from left: Dominique Owens and Destini Powell. Second row, from left: Suhib Jamal, Nick Dikic, Dean Taylor, Leah Cummings (CAS ’17) and Santiago Chabrier (CAS ’17, CSE ’17).